I just added some new items to my Nihongo library. 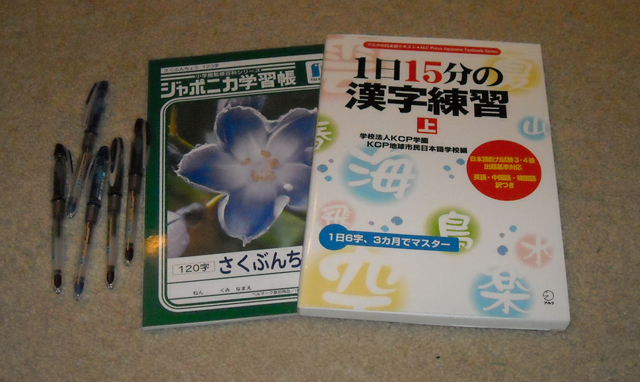 Some Uniball .18 mm Signo pens, a Showa kanji/kana practise book and a kanji practise book. I should have added a headband for studying. Ganbatte!! !